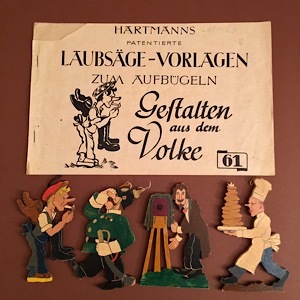 Welcome to the Online Museum of German Wall Figures! 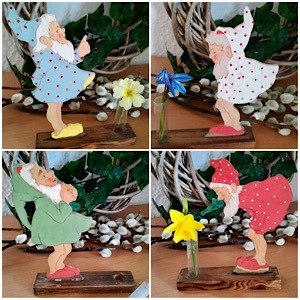 These Fairy Tale Wood Pictures or Wall Figures are a cornucopia of beauty and of history. 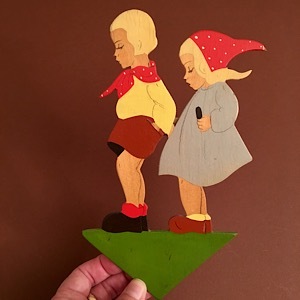 They are all made of wood. 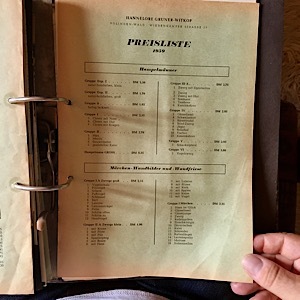 They are all from the 20th century. 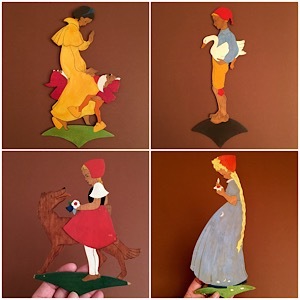 Many are hand-painted. 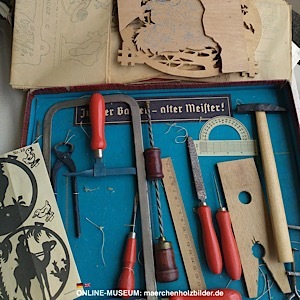 With this Online-Museum I want to create something beautiful. 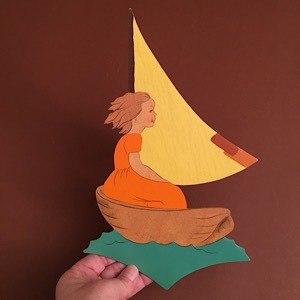 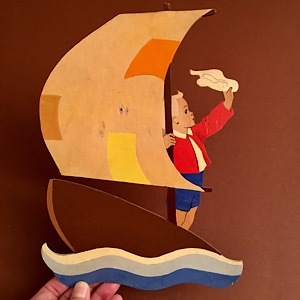 So, if you love vintage art, take a close look and enjoy, maybe remember, too! 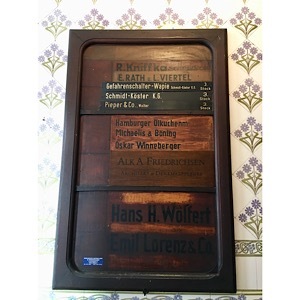 Don’t forget to take a close look at the menu on top: There you will find about 1000 different wood pictures! 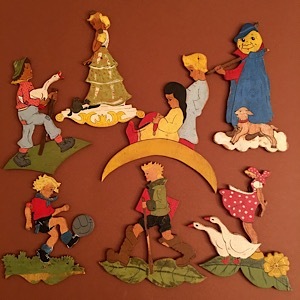 On this home page you will find much additional knowledge about Fairy Tale Wood Pictures. 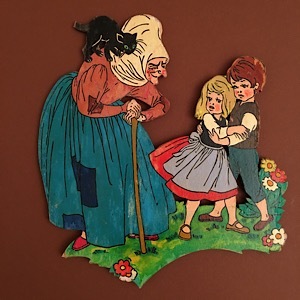 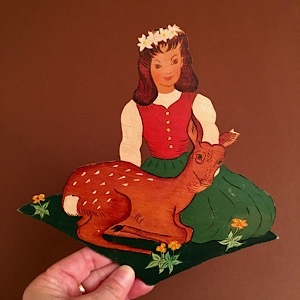 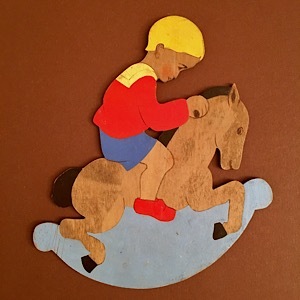 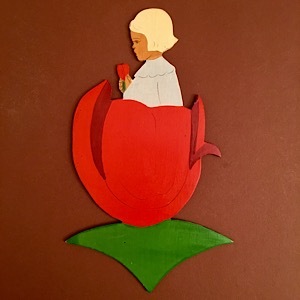 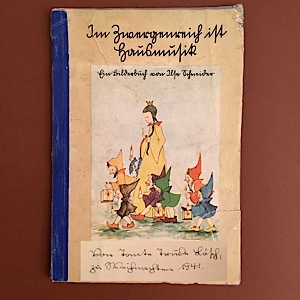 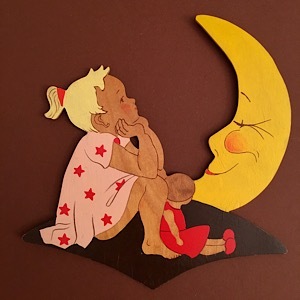 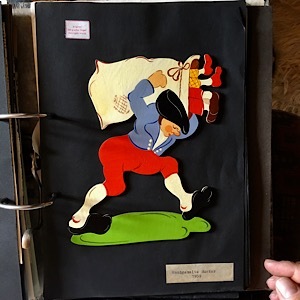 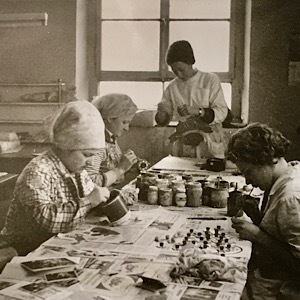 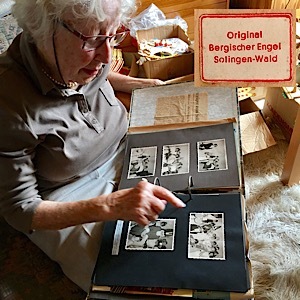 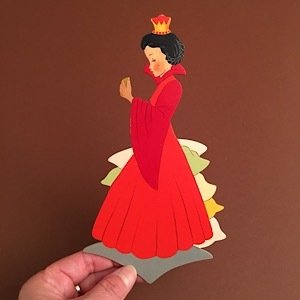 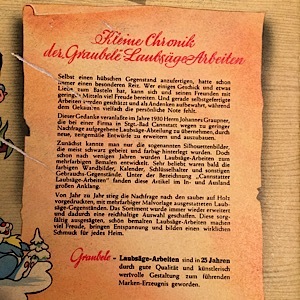 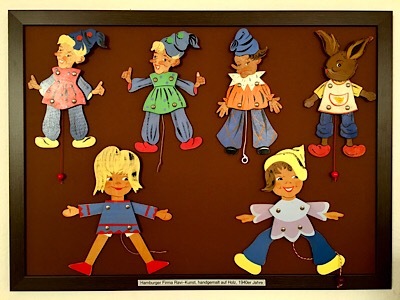 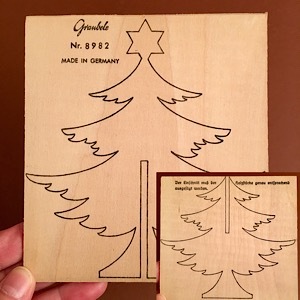 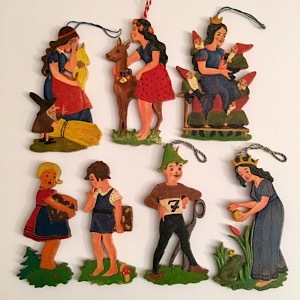 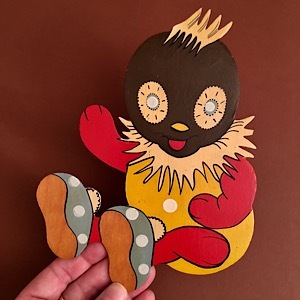 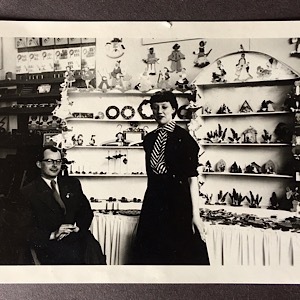 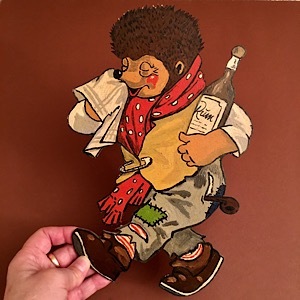 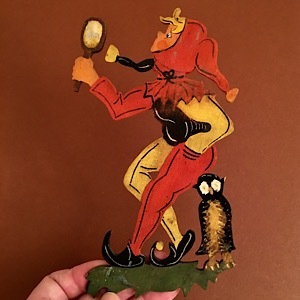 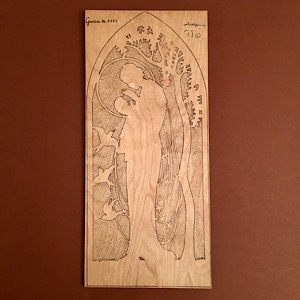 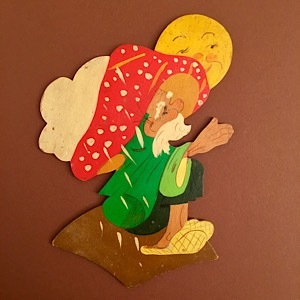 My mission statement: The era of German Wall Figures (1930s to 1970s) has almost been forgotten, even in Germany, where 99% of the Fairy Tale Wood Plaques were produced. 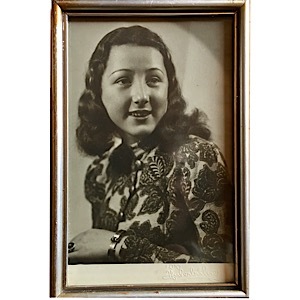 I am working on preserving the beauty of this era on the World Wide Web. 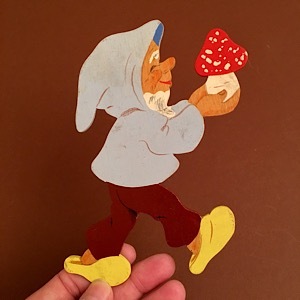 Visiting Dresden and the Ore Mountains ✧ Are they still producing Fairy Tale Wood Pictures there? 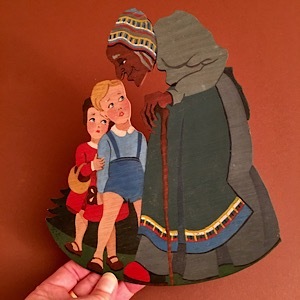 Hand-painted on 3mm quality plywood. 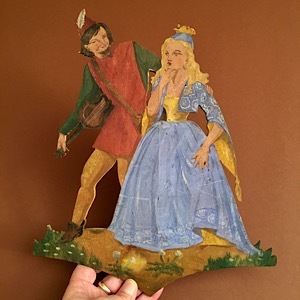 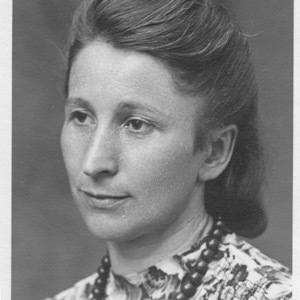 This wood picture belongs to a Hellerkunst series of German traditional clothing. 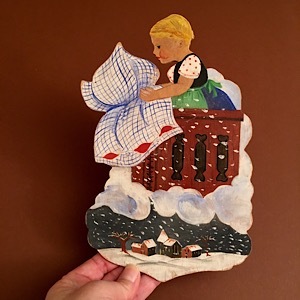 Little Dwarf with Lantern ✧ Original Bergischer Engel or Mertens-Kunst?